Looking for fast garage door repair? If yes, you should contact the experts at Sentry Garage Door and Gates. We remain on call seven days a week. Fast affordable same day garage door repairs! 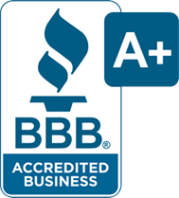 BBB A+ Rated, family owned, and fully insured. We have been servicing the greater Houston area since 1999 & take your business seriously! Efficiency in our line of work is important. We understand that your time is precious and that your garage door is very big deal! This is why we follow the repair process and installation process to the letter. Through our experience we are able to make up extra time and efficiency for the needs of our clients. We will arrive on time with a fully stocked truck. You can count on Sentry Garage Door & Gates! We will identify the issue plaguing your garage door. Doing so quickly at an affordable price. Our staff is extremely well-versed with the repair and installation process for any make and model. With our wide list of manufacturer specific parts and custom tools set aboard each of our fleet vehicles, we are able to deliver one stop repairs in most cases! Because we remain on call throughout weekends and evenings. We are available for immediate dispatch on almost any type of garage door repair. Our fleet of repair trucks comes fully stocked and ready to handle your repair needs. On any type of garage door issue. By remaining at the ready we can deliver support when you need it the most. Going without a garage door can be detrimental for the security of your property. And we can provide immediate repair and support for your garage door structures, garage door openers and more. No matter what you may require for garage door repair in Houston, our staff is available for your needs today. We can offer quality repairs with fast response times. Our skilled technicians are available to diagnose any issue very quickly and get your door back up and running again. Diagnosing some of these early issues with the garage door can also prevent serious repairs from cropping up in the future. Our technicians can ensure your garage door remains up to perfect working condition. Even if you have a garage door that has a fairly noisy operation or a series of issues that could potentially strain on the motor, we can deliver the help that you need to ensure quality operation in your garage door systems. Our quality technicians can provide easy diagnosis for a wide range of garage door issues. With our experience we have become one of the most trusted Houston garage door repair specialists. You can schedule an appointment today or contact us for emergency services. Including for your garage door motors, hardware and more. If you notice a spring that’s out of place or your garage door no longer seem supported for opening, contact us today and we can troubleshoot most any issue. Not only do we provide superior certified technicians on all of our repair visits and installation visits, but we install only the best commercial grade garage door parts to ensure that you get the longest possible lifespan for the cost of repairs. Getting maximum effectiveness and lifespan out of the repair parts we provide will ensure that your garage door can perform much more efficiently and that you can have full confidence in your garage door systems. Sentry Houston Garage Door Repair partners with some of the worlds largest manufacturers to ensure that we have a steady stream of industrial strength parts which are backed by comprehensive manufacturer warranties. By identifying some of the latest and best products on the market, we are able to service even the newest garage door openers as well as generate installations and repairs that are perfect for the long term.